51% (both men and women) said that being eligible for shared parental leave would make the biggest difference to their family, yet 3 years to the day after this legislation was first introduced for employees, the self-employed remain ineligible. 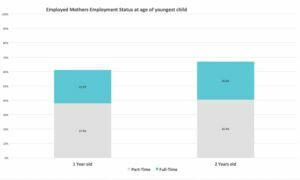 Many respondents also mentioned the lack of flexible affordable childcare as having a negative effect on their business, as the unpredictable nature and jobs at short notice made it difficult to use conventional nurseries and childminders that need to be paid upfront. 59% were not satisfied with how they were able to divide childcare and work as a couple. 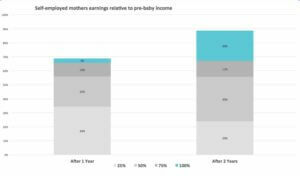 This is why the government needs to listen to the thousands of self-employed families being held back by the inflexible systems of Maternity Allowance and limited KIT days, and embrace Shared Parental Leave and Pay for all. 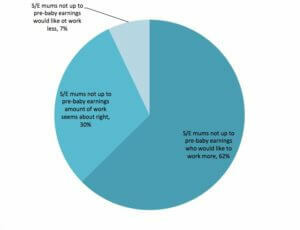 Methodology: 143 People took part in an online survey run by the Organise Platform and Parental Pay Equality. The ONS stats are from the ONS Laborforce Survey .